The new medical marijuana law signed by Governor Kasich on Wednesday goes into effect 90 days after the bill is officially filed with the secretary of state, making medical marijuana legal sometime in early September, 2016. At that time, patients will have an “affirmative defense” against prosecution for marijuana possession charges if they have a written prescription from their doctor to use marijuana in a form allowed under the law. 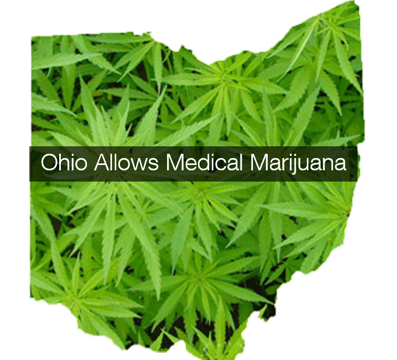 However, Ohio’s new medical marijuana program is strict and will be regulated by 3 state agencies: the Ohio State Pharmacy Board, State Medical Board, and Department of Commerce. A 14-member advisory board would recommend rules to the three regulatory agencies. The Ohio law prohibits smoking or growing marijuana at home but allows cannabis oils, tinctures, patches, edibles and plant material to be used and sold in state-licensed dispensaries. The law further limits medical marijuana usage to people with the following medical conditions: HIV/AIDS, amyotrophic lateral sclerosis (ALS), Alzheimer’s disease, cancer, chronic traumatic encephalopathy (CTE), Crohn’s disease, epilepsy or another seizure disorder, fibromyalgia, glaucoma, hepatitis C, inflammatory bowel disease, multiple sclerosis, pain that is either chronic and severe or intractable, Parkinson’s disease, post-traumatic stress disorder, sickle cell anemia, spinal cord disease or injury, Tourette’s syndrome, traumatic brain injury and ulcerative colitis. Employers reserve the right to fire medical marijuana patients if their marijuana use violates the employer’s drug-free workplace or zero tolerance policy. If you have questions about how this new law may affect your employer policies and procedures or workers’ compensation matters, contact one of our attorneys at 419-244-6788.